Can I use the one mobile Bluetooth headset to connect to different mobile phones? In most cases yes. The technology they typically use is called A2DP. In most cases it allows you to connect to 2 separate mobile phones with the one headset – though not at the same time. Very few models will allow more than this. In some cases the mobile phone headsets are smart enough to activate based on which phone is ringing. Can mobile Bluetooth headsets work with iPhones and iPads? Some mobile phone headsets have been designed with special iPhone and iPad features in mind. For example, you can use your iPhone to see battery levels on your mobile. This is indicated on the filter on the left so if you have an iPhone then look for those models. Some models offer this, others don’t. It is simply the ability to stream music from a connected Bluetooth device and this feature is available on the advanced filter on the left. This obviously limits the life of the battery but it is a fantastic way to kill time listening to some of your favourite tunes when you’re out and about. Some mobile Bluetooth headsets offer voice activation. This is where you have only to say the word answer etc and it answers an incoming call. This is awesome for a completely hands free experience. Depending on the mobile Bluetooth headset model you can even integrate with iPhones voice activated commands as well. Some of the mobile phone headsets also provide voice prompts in certain circumstances to let you know about low battery status and the like. Why are some Mobile Bluetooth devices for the office and others aren’t? Most of the mobile Bluetooth devices above are designed for mobile phone use in mind. The Bluetooth technology allows them to work with any Bluetooth enabled devices but office phones and many PC’s don’t offer this. 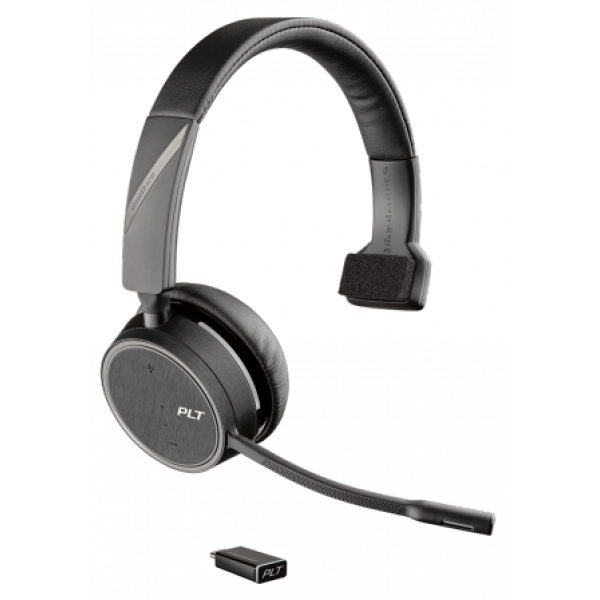 The Bluetooth headsets that have been designed with office use in mind also use wireless DECT technology. This is what allows them to connect to your office phone. These models also come with a separate USB cable which is designed for PC use. This is how they differ and why these models are significantly more expensive that the typical $50-150 mobile phone headsets. Can I use Bluetooth headset designed for the office on the road as well? Yes, but it depends on the model (only the Jabra Go 6430 and Jabra GO 6470). All the other office models are only intended for the bluetooth to work in the confines of an office because the technology is in the charging station, not in the headset itself. If you want to be able to take the Bluetooth headset on the road too then look at the models mentioned or look at a cheaper, mobile Bluetooth headsets for your out and about communication. Can I answer calls away from my office desk phone? Yes but only if you buy a Bluetooth office headset for use with your desk phone as well. If it’s a cheaper mobile phone headset then you will only be able to answer up to 11m away from your Bluetooth activated device. For an office desk phone application you will also need to purchase either a lifter or an electronic hookswitch. They both do the same thing but the electronic hookswitch does it better. There is no mechanical lifting and dropping of the handset receiver. When you are away from your desk the mobile Bluetooth headset beeps in your ear for an incoming call. You then tap the button on the side of the headset and this sends a signal pack to the lifter or hookswitch to pick up. To end the call you simply tap the button again. You can’t transfer calls from any mobile Bluetooth headset only answer/end calls when you are moving around the office. Not all phone systems support an electronic hookswitch but most do accept a lifter. If you have a recent Polycom, Cisco, Avaya, Alcatel, Siemens, Tenovis or Nortel handset then you’ll find a compatible electronic hookswitch for your phone handset. We’ve even packaged these Bluetooth headset and lifter bundles to save even more off our already low pricing. Does a mobile Bluetooth headset work with any desk phone? When you are connecting a mobile Bluetooth headset to a desk phone it will connect with any handset (providing the model is designed for this application). This is because of the universal way it connects to a handset. Yes. You can actually use any connected device, although not at the same time. Depending on the manufacturer you simply hit a button on the base station to change between desk phones, computer and mobile. It’s simple and very effective. Some mobile Bluetooth headsets will even automatically prioritise the connection required for you depending on which connected device is ringing at that time. Do all mobile Bluetooth headsets offer noise cancelling? Noise cancelling mics work incredibly well. 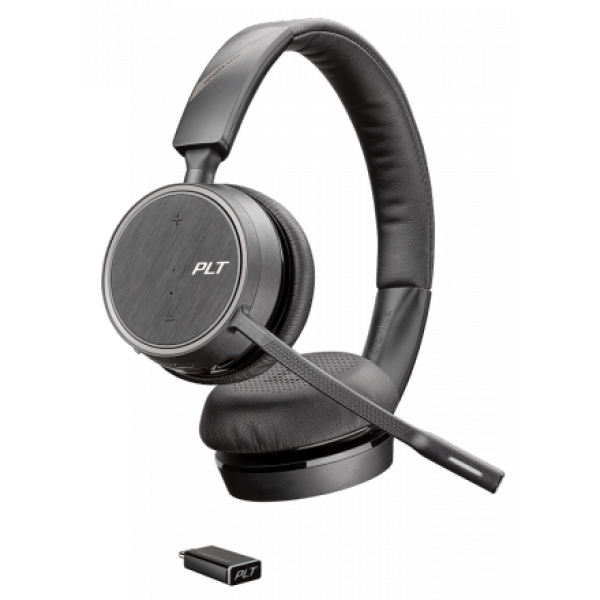 Some of the mobile phone headsets employ special technology above and beyond what you may find in an office headset - like WindSmart from Plantronics. This is to counter the additional noises that people experience with a mobile phone headset when they are out in real world conditions. Also many of the microphones on top of the line mobile headsets offer up to 3 separate speaker mics for brilliant HD sound reproduction. Noise cancelling is not standard on cheaper Bluetooth headset models so make sure you get a model that offers this. Which brand of mobile Bluetooth headset is best? With the incredible offerings now available from Sennheiser, Jabra (formerly GN Netcom) and Plantronics wireless headsets it’s a tough call. Our advice is at this level the brand of mobile phone headset is not necessarily as important as the features and wearing style you require. Take the Jabra GO series for example; they are the only models that allow you to use the bluetooth headset with a mobile device out of the office as well as in the office. Or the models that are optimised to work with iPhone and iPad devices. Or the Bluetooth headsets for mobiles that allow you to steam audio, or have voice activated controls. These are all great features that would have more impact on your decision than the brand you choose. We suggest you use the advanced filter on the left of the page near the products to reduce your selections and if you’re still not 100% sure then our friendly experts are waiting to take your call. Whichever mobile phone headset you ultimately chose, you’re covered by our comprehensive satisfaction guarantee. Now all you need to do is call - give our friendly experts a call on 1300 889 728 to place your order and enjoy the benefits of quality sound and comfort provided by our GN Netcom / Jabra, Sennheiser or Plantronics mobile Bluetooth headsets in no time.